Dharamshala: President of the Central Tibetan Administration, Dr Lobsang Sangay denounced regionalism and groupism as a serious threat to the fabric of Tibetan unity. 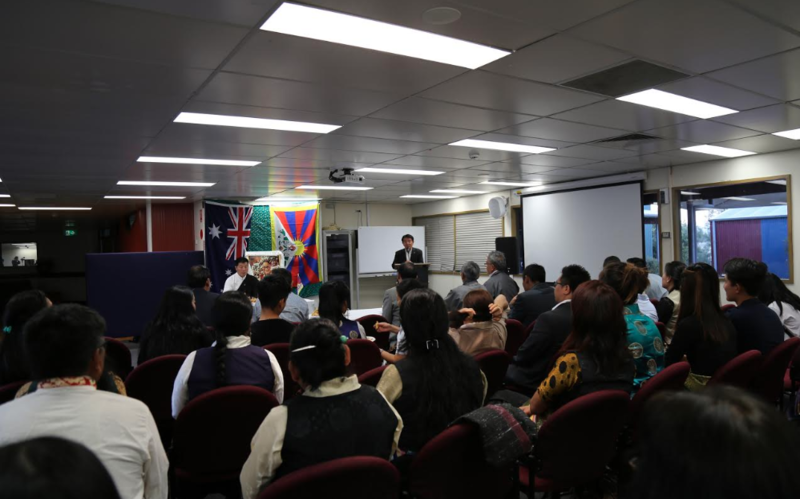 “I strongly urge all Tibetan brothers and sisters to eschew regionalism and parochialism and pledge to unite under the leadership of His Holiness the Dalai Lama to fulfill the aspirations of Tibetans inside Tibet,” President Dr Sangay said this Thursday in his address to Tibetan community in Canberra. The President sharply condemned the divisive activities within the community, saying that it not only threatens the Tibetan unity but poses a greater threat to the larger cause. 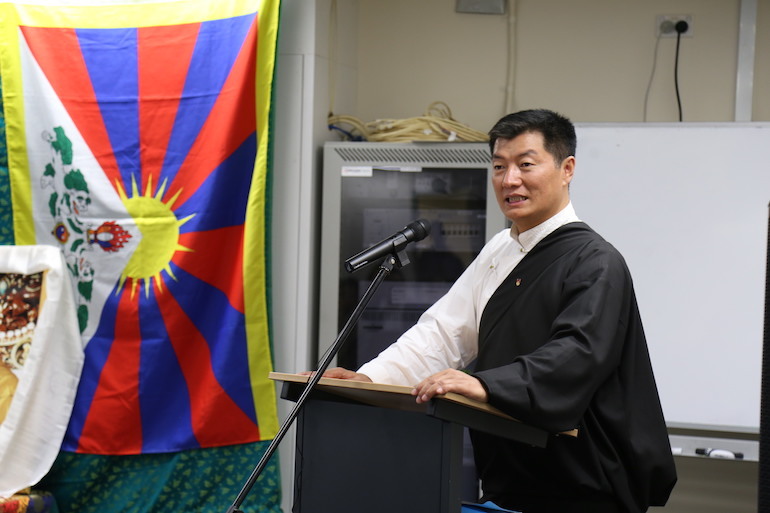 President Sangay said the Tibetan community in Australia, which majorly include former political prisoners, have a greater opportunity in bolstering the voice for Tibetan struggle. As former political prisoners, your advocacy for the severe repression inside Tibet will carry greater weight and credibility since you are primary witnesses of China’s atrocious human rights crimes and oppressive system. 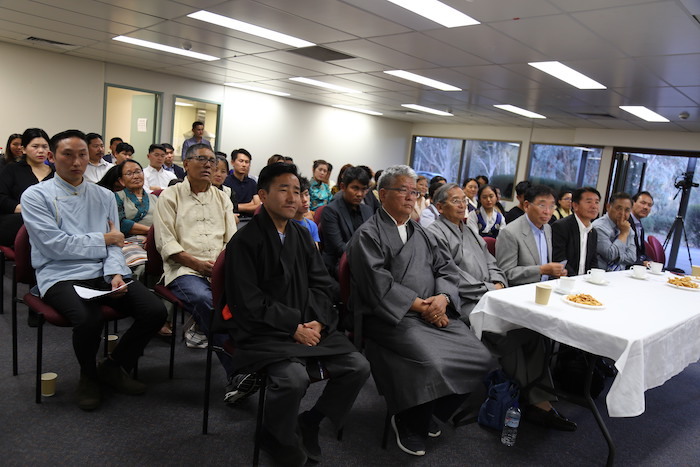 As he spoke about China’s expanding influence across the West and in Australia, President said it is ever more urgent to speak out against China’s authoritarian regime, gross human rights violations, political and intellectual censorship and the crimes committed against ethnic minorities. More and more countries are growing wary of China’s influence and are pushing back, he said. Tibetans have a moral responsibility to support these voices and also, draw the world’ attention towards the non-violent struggle led by Tibetans inside Tibet and in the diaspora. He also spoke about the advocacy and developmental projects led by Central Tibetan Administration based on the Five Fifty Vision. Besides the talk, President Sangay’s daylong schedule included meetings with Member of the Australian parliament, Michael Danby and Peter Jennings, Executive Director, Australian Strategic Policy Institute (ASPI) and several delegates of the Australian parliament. It was followed by interviews with Peter Hartcher of Sydney Morning Herald, Chris Uhlmann, a prominent Australian journalist and TV presenter and Andrew Greene, Defence reporter at ABC.